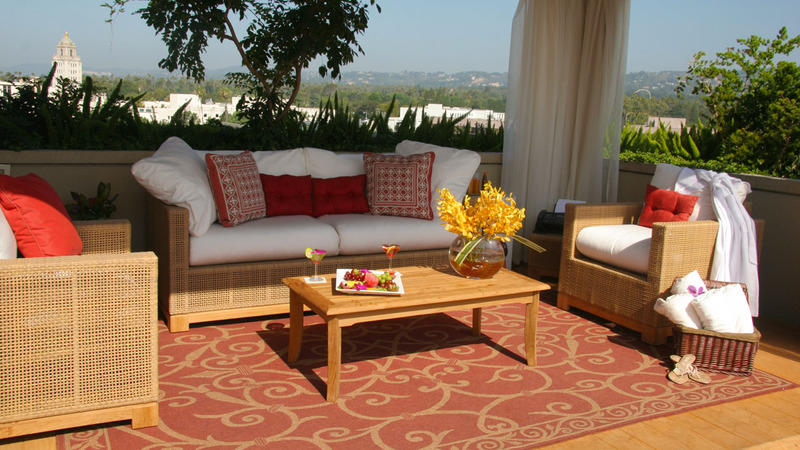 This hotel has always maintained a reputation for being a unique property for the enjoyment of the rich and famous locals and visitors to the City of Beverly Hills. It has gone through some major changes over the years, and is now the ultimate in modern comfort where the menus reflect a magical merging of Italian and Asian cuisine implemented by Chef Joseph Elevado and his staff. The entrance and lobby reflect clean modern lines and a quiet efficiency that exudes confidence. The Livello Restaurant is a beautiful oval shaped dining room with windows floor to ceiling overlooking a lovely garden. This is the domain of Chef Joseph Elevado, a career chef who studied under Nobu Matsuhisa at Nobu New York and Social House in Las Vegas. Most of the staff in this kitchen came from Nobu Matsuhisa. Executive Chef Benjamin Dayag said he is delighted to be working with Chef Elevado and the talented culinary team at L�Ermitage. Breakfast, lunch and dinner is served in Livello, and hotel guest may enjoy food service on the rooftop pool or in their rooms. 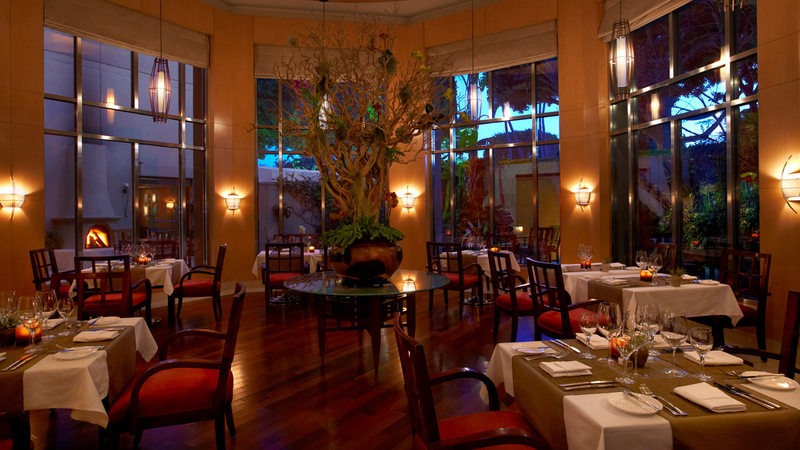 The beautiful Lobby Bar & Restaurant are also a favorite haunt for guests and Beverly Hills business people. Breakfast includes both American and Japanese specials, eggs Benedict, San Danielle prosciutto and melon, and usual favorite items. Dinner offers everything from unique meat and seafood presentations to "Nigiri Sushi" or Bolognese of beef short ribs and everything in between representing a weaving of both Italian and Asian flavors. The food is exquisite in design and presentation. 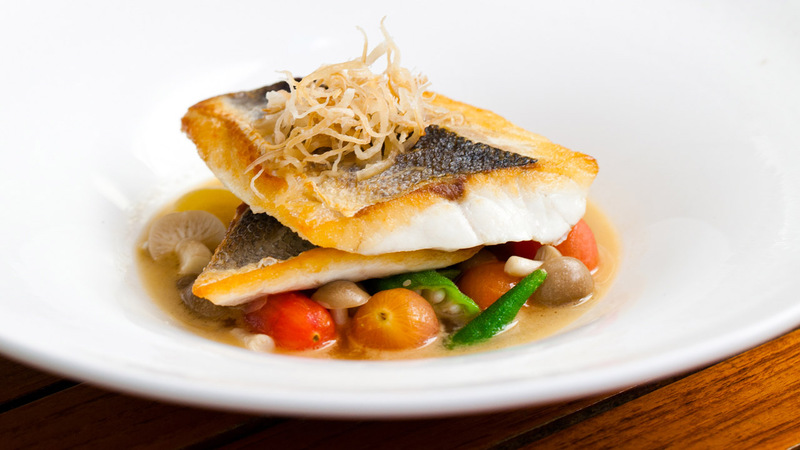 Picture perfect Entrees and desserts emanate the gastronimique excellence of the hotel chefs. 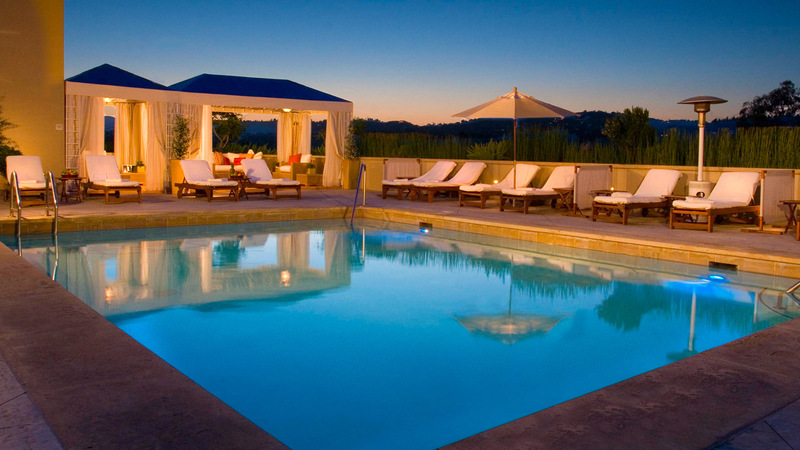 The panoramic views of the eighth floor rooftop pool at L�Ermitage provide a magical escape venue to unwind, take a swim, enjoy poolside dining, or revel in the spa treatments offered in the poolside cabanas, including a signature massage or hot stone massage. This dining venue is reserved for hotel guests only. 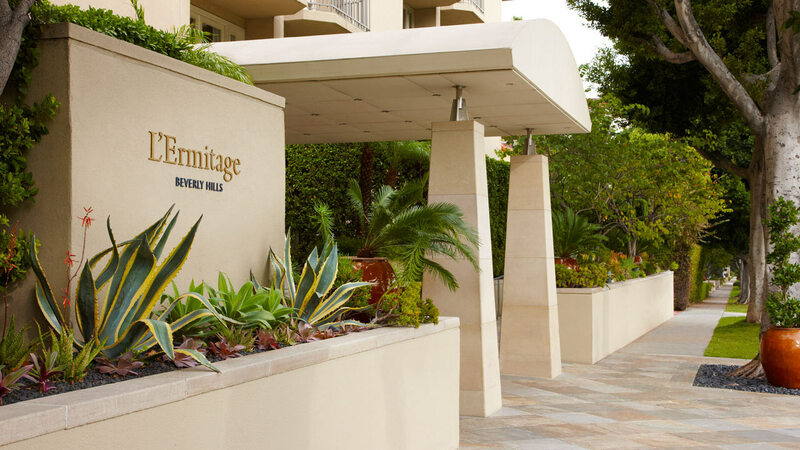 The hotel is walking distance to all points of interest in Beverly Hills, including Rodeo Drive, City Hall, Paley Museum, Greystone Mansion and fine shopping or dining destinations. For information visit: www.viceroyresortsandhotels.com.